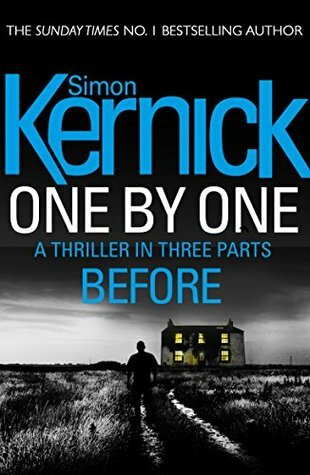 What is it about Simon Kernick that takes me back to his novels over and over again? I assume it is the characters he unfolds in the stories, which are simply “interesting people” taking part in very believable situations and settings. One by One makes no difference. This novel comes in three digital parts staging a classical Agatha Christie like mystery novel. It is about 150 pages long (or short), but neither fails to tellingly present the settings and surroundings nor to vividly introduce the acting characters. The short novel even shorter, six persons meet on an island and get killed one after the other. The question is not so much, why, as this is told quite at the beginning with looking back to their time at university, but who and how. And Kernick does not give us much time to pause and catch a breath while reading. It’s not the action only, but the interaction between those different characters, which grips you right away. And, of course, the first-person character Karen unfolding the story. To me, this “digital short” was a virtual page turner (not sure, what to call this in e-book terms).